Have just returned from a trip to Hotel Marelen , this is not the first trip. I love Kalamaki .Unfortunately this trip I was put in a room overlooking the Kids Fun and Splash pool. I am in my 60's and felt this was inappropriate. The noise level between 11am and 5.30 pm was unbearable. You really couldn't stay in your apartment. Luckily I was able to stay out for this time period. I did ask to be moved and was offered another apartment this time above pool table area and was advised that the noise at night would be worse.I would certainly return to Kalamaki but I'm afraid the Hotel just didn't make the grade.It is a shame as the Hotel is clean and close to beach. This hotel would take some beating! We love the maralen hotel we have visited this place for over 5 years and seen lots of change its fab great people family run hotel and such friendly people. My daugther calls the owner granddad they are so close they will do anything for you. Great weather and sunshine every day hotel very clean rooms fab and plenty of space rooms cleaned daily. Pool fab and also new splash park and getting married there brilliant. Food and snack bar clean food brilliant and so cheap, main bar open from 6.30pm till late bar man nick is ace with all people and kids. Totally amazing hotel, we stayed 10th of may 2011 for a week b&b. the room as clean and comftable and the pools were amazing the kids splash pool n ew for 2011 was brill my two kids aged 6 and 7 loved it. The main pool was well maintanted and clean loads of sunbeds everyday. Staff are so friendly and really couldn't do enough to help you especially Julie and Theresa, in face i'd go as far as saying they were better than the first choice rep, who we never saw and when we did he mucked up the trip we wanted for our eldest daughters birthday. The hotel is very modern as it has been updated over the winter. Just back from a couple of weeks at the Marelen. Two families of three. Had a really relaxing time. Many thanks to the jolly Ree and her entertainment. Really enjoyed the Greek night!!!!!!!! !.Big thanks to Vissi. A real asset to the hotel. Keeps the garden and pool area lovely and tidy, along with all the other work he does. Always there!!! !.Great holiday, thanks to all. Just back from 2 weeks at Hotel Marelen, lovely lovely staff. Big high 5 to REE, CHEERS to Nick & Fizzy. Lovely relaxing holiday. Family apartment very spacious, cleen and well kept. Would recomend to any families and couples. Two lovely weddings Happy Life to both couples. Ree's quiz night DONT MISS IT. i couldn't fault my holiday...i just wish we had gone for 2 weeks! also so close to the beach its just perfect. to be honest the hotel pool was so lovely we didn't feel the need to venture out much during the day apart from eating breakfast in the resorts many bars open in the mornings. we WILL be returning next year...this time for 2 weeks and i cannot wait to be back!! We will be at the Marelen again in two weeks time. This will be our 8th visit. The widely held view is the same as mine. An excellent largish family run hotel with great staff. They appear to be working 24/7 to keep the place clean, tidy and working smoothly. I have raised small concerns with them in the past and the issues were dealt with immediately. A good pool with a decent snack bar. A very small mini-market at the hotel. Supermarket about 400metres away. It's about a 300 metre walk along a flat tarmac road to the beach (it's a cul de sac so not much traffic). It's about a 10 minute stroll to the town for the restaurants and perhaps another 20ish minutes if you wanted to walk all the way to the other end. In the evenings, if you don't want to walk, there's taxis outside the hotel or if you're in a romantic mood, you can take the (expensive) horse drawn carriage. Our favourite restaurant is Buon Amicci. What some people don't like is the fact that the hotel is on the flight path to the airport, with planes just a couple of hundred feet up. Zante, being a minor destination, doesn't have many planes compared with the major resorts, so traffic is low. I can't remeber there being more than 3 planes on the ground at any one time. As the prevailing wind is off-shore, most traffic will be landing ie quieter and "off throttle". For most, these low aircraft have a novelty value rather than being a nuisance. As the beach is closed at night for the turtles, noise and light are also restricted. Therefore there are no night flights. I don't find these planes a nuisance. I'm confident you'll enjoy your holiday at The Marelen. Have just got back 06/07/08 from spending a week at the Marelen Hotel, Kalamaki it was one the most relaxing weeks i've ever spent abroad. The staff can't do enough for you, the whole complex is immaculate. The beach is only 3 mins walk away. The restaurants in Kalamaki town are 10 mins walk and my favourite restaurant is Artemis but I can't actually fault any of them. Did not want to come home. For those of you who are going with children, do not worry they will not be bored and will be asking to go back next year. I'm going back for 1 week at the end of September. In 1 word EXCELLENT. We went to Marelen in October 2007 for 2 weeks during half term. The holiday was great but some bars & restaurants were closing for the end of season. It was quiet but pool was great and the beach was lovely. We had about 3 days a rain which wasn't nice. I would go back again as the hotel was lovely as were the staff and the beach near by. But we would not go at the end of the season. We will be at the Marelen in August 2007, our first trip to Zakynthos, with our 14 year old son - any tips on making this a fab holiday? Good clean hotel in well kept gardens. Close to beach and shops etc. Entertainment average, although they did put on two good evenings, the Greek Night, with lovely food and also a Free Pizza night once a week, plus entertainment. We had a ground floor studio apartment, which was generally very good, with a king sized bed and also a hair dryer. The balcony/terrace was excellent. The bathroom is small and has the obligatory bins for paper (common to most Greek islands) but exceptionally clean and no odours or flies. The kitchen, again as in most Greek hotels, had very poor facilities making it difficult to self-cater. This didn't concern us too much as eating out is such a pleasure. 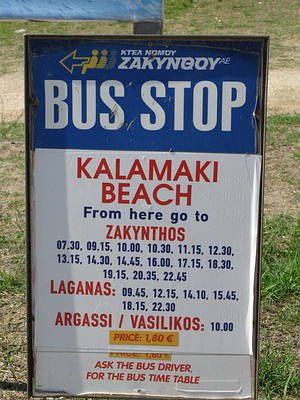 We would recomment the Kalamaki Beach Taverna, Milos and Ambrosia for eating out. This area is on the flight path and the aircraft do come very low, but this became quite a novelty rather than a nuisance and no night flying. It was lovely to find that all the hotels display notices welcoming visitors to use their facilities. theres one in Laganas but there is one in the amarylis hotel just behnd your hotel which you could use!! Having read the comment from Sam about going on honeymoon in June, I too would say the same as Paul, there is nowhere bad to eat but our favourite restaurant was and is Diaz. We will be going again in September this year, which will be the third year consecutively. That can't be a bad recommendation can it? It is value for money, the staff are really helpful and easy to chat to, especially Nick and Michaela. sam have a great honeymoon in kalamaki, you have picked a great hotel , nick at the bar and all the rest of the staff will really look after you, it really is a great place. as for food at night there aint a bad resteraunt in kalamaki. 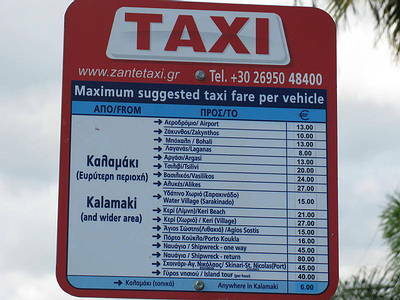 but diaz artemis hera and escape are just a few that come to mind where you get good value and a relaxing atmosphere. as i said have a great time. if you check out the main boards you will get more good tips. We are going to be staying at the hotel Maralen at the end of June for a week for our honeymoon if anyone can recommend places to eat things to do etc be most gratefull!! hi jade, sorry to hear of your accident at the hotel. we have stayed here 3 times in 6 years and love the hotel. you are spot on about the staff they are great so are the facilities around the hotel. micheala with the entertainment and nick behind the bar are good fun and work really hard to keep everyone happy. hotel is very clean and tidy at all times . will be back to see them late june 07.
when i went i loved it, my mum and dad said we were only going to manchester but i was nieve about goin to manchester airport, getting a plane and going! michella (if thats how u spell it) was nice and her daughter too i would recomend it to any1 unfortunatley, there were bad people by the pool 1 nite and smashed glass that went in my foot , but the malleren staff were gr8!